A few months ago we were on a road trip. The longer we were away from home the more things we seemed to be accumulating until the SUV was full. Like full up to the ceiling of the car. Last summer we went camping and by the time I got all our gear and food packed into the SUV same thing. We were bursting out the windows. As I was driving with this car full of stuff the one thing that kept going through my mind was please don’t shift and fall on my daughter! 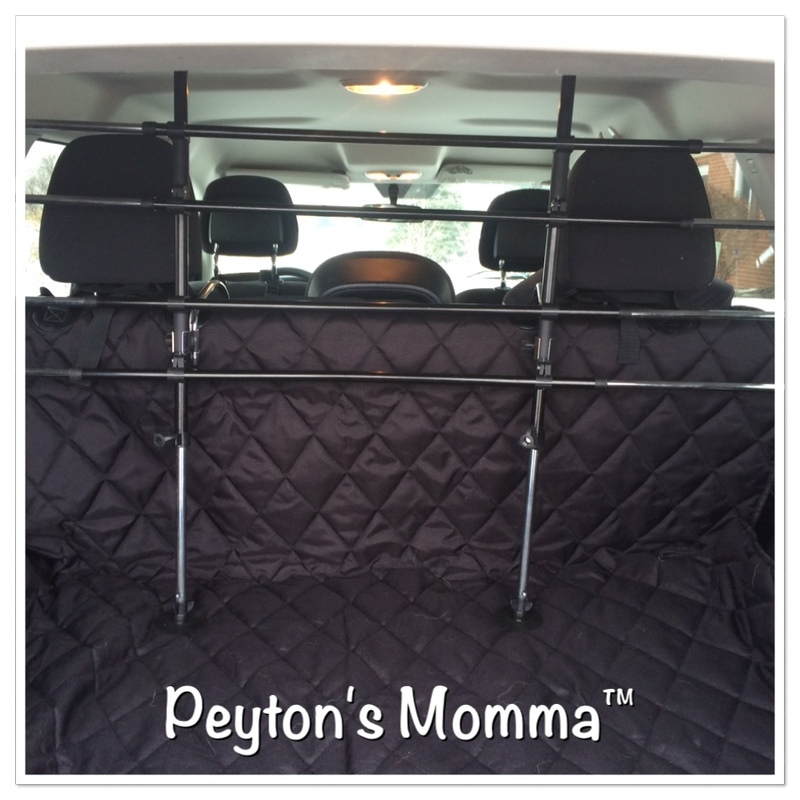 I had made sure the only things around her were soft items and that all the heavy items were low to the bottom of the car so that if things did shift she would be covered in things like blankets, pillows and clothes. But it still worried me. I wanted everything to stay in place, right where I packed it. We also have two German Shepherds that come to the office with me a few days a week. And one of them like to hop over the backseat and sit next to my daughter. This is so dangerous! For everyone. He needs to stay in the cargo area and my daughter needs to stay in her booster seat. But those two love each other so much that they are frequently found hoping over the seats to be by one another. Again, another situation where everyone needs to stay where I put them. So what can I do? I decided to add a barrier! You know one of those bar barriers that will keep everything in the cargo area where it belongs. I was surprised at how easy it was to install. It only took about 10 minutes to get it all set in place and tightened. The model I chose – Dog Tubular Barrier by Luminously – is a tension mounted barrier. 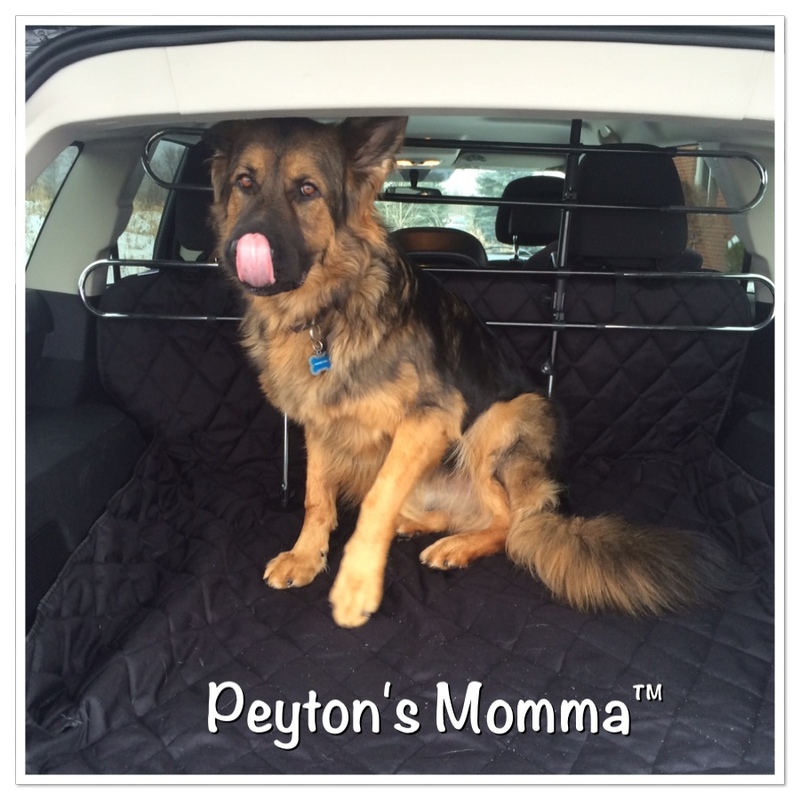 Plus it hooks onto the back seat to ensure that the child or dog does not push it down. 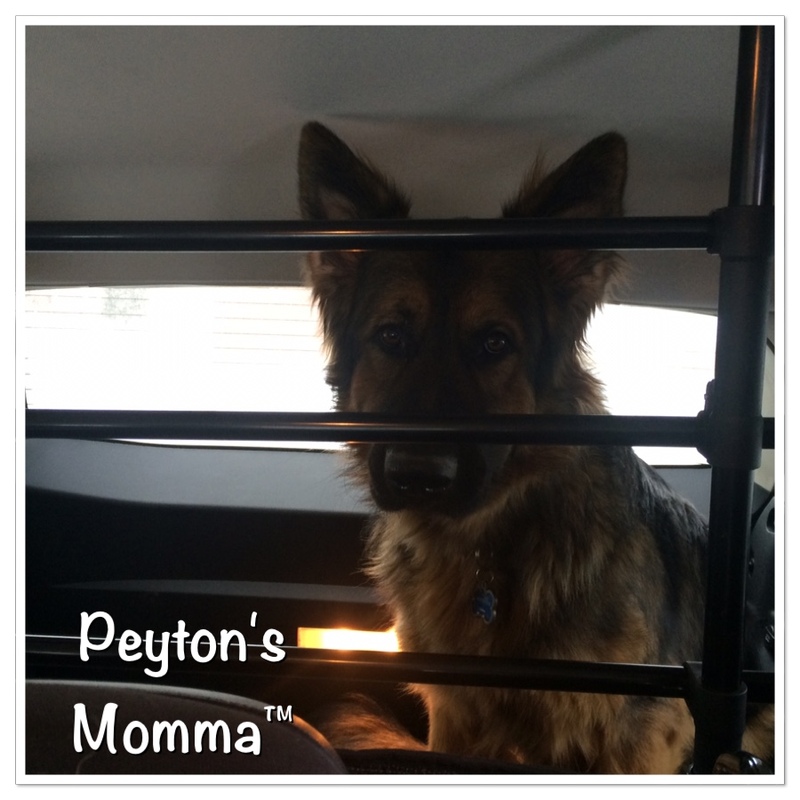 I am much more confident now when traveling with a car load of pets and a child or taking a road trip across country loaded to the gills with luggage. The barrier will also keep our luggage in the cargo area. Next time we go camping all the gear will stay in the cargo area and I won’t have to worry about it spilling over the seats and toppling down on my child. I’ve had my barrier installed for a week and so far so good. Our dogs are staying in the cargo area, they haven’t even tried to knock it down. And my daughter is no longer hoping into the cargo area to hang out with the dogs. Everyone is in their places. You can purchase your own Dog Tubular Barrier by Luminously on Amazon and have it delivered right to your door. I wish we had something like this when we had dogs! You took his picture mid-lick! 🙂 How do the dogs like it? So far so good! They are staying in the cargo area where they need to be.